World leading business Christmas ecards aren’t the full extent of Ecard Shacks portfolio of products, we even supply ecards for everyday occasions befitting for the workplace. This thank you note is one of our simplest designs and does exactly what it says on the tin. Pop this ecard into an email and sending to a work colleague or even a client to portray your thanks for a piece of work or even some emotional support for a life problem you shared. For the two minutes it will take to do this your relationship could enjoy years of success and happiness. 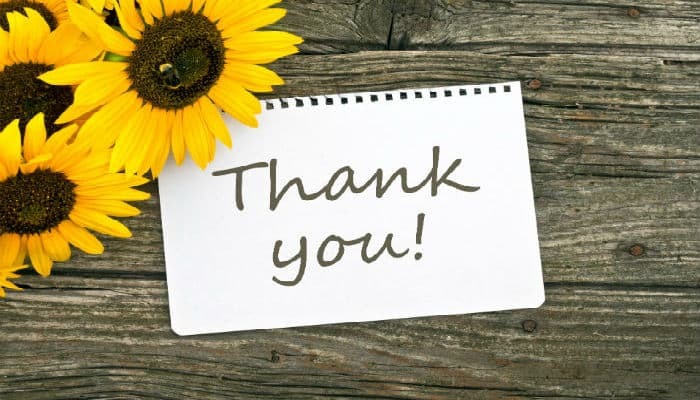 The thank you note is the kind of simple post it note that you would leave on a colleague’s keyboard but when placed on the contemporary backdrop of aged wood and a flower it creates the perfect image for an ecard. By adding a more detailed personal message of thanks to the recipient on the inner pages or even the front you will surely enrich your friend’s day when they receive it. The simplicity and elegance of this ecard is matched and bettered with our email Christmas cards for business so why don’t you tell your colleagues who arrange your Christmas marketing to take a look.